Please note date of class is different from printed catalog, class will meet Thursday, 4/25. Is your favorite section of the menu the starters? Come learn how to make some of your menu favorites like dumplings and spring rolls with all the dipping sauces to accompany them. Learn to fill them with ingredients that make them a meal on their own. 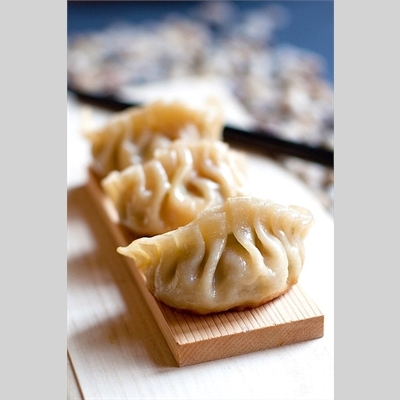 You will also learn how to make Japanese gyoza with fillings ranging from chicken and chives to pork and corn. On the lighter side, but just as delicious, we will make fresh Vietnamese spring rolls filled with a variety of veggies and rice vermicelli. In the same time it takes you to get delivery, you can make your own Asian inspired feast. Tuition includes a $20 food fee.